The year is 2007 and the genetic revolution is in full swing. Medical science has already performed the initial sequencing of the human genome at a cost of a few billion dollars for the first dozen or so people tested and now the cost of genetic testing is dropping from hundreds of millions of dollars per individual to hundreds of thousands to ten thousand dollars and the idea takes hold that we would soon each have affordable access to our personal genome. Empowered by the knowledge of what illnesses we would be destined to get we could be proactive. Worried about diabetes risk? Just check your DNA and if not predisposed eat what you want to. Worried about heart disease? – well maybe there are screenings that you need to start undergoing earlier in life than the average person – Or perhaps your risk is actually genetically so low so you don’t need to take statins or blood pressure medications and can avoid the costs and side effects that your neighbors have to put up with. And for those who don’t like going to the doctor why not order the test yourself and have the results delivered privately via e-mail? 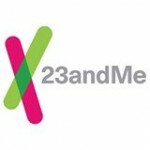 Enter a company called 23andMe which set out to do just that. The premise was both simple and yet daunting. Just categorize the genetic differences among us, link them to certain disease risks, and disseminate the information. No need for doctors, or genetic counselors. It’s your DNA after all and you should have complete access to it. The logistics of doing this were significant. Our DNA contains 3 billion bits of information called bases. This instruction set for life is surprisingly identical for each of us – most of that information is mission critical and has been preserved unchanged over hundreds of millions of years – yet there is some variation that is allowed by mother nature. On average one in a thousand or so bases can be different. A simple calculation shows there potentially to be over a million differences among us! Those differences help shape who we are and potentially our disease risks. Genetic companies like 23andMe use chips that can test for an increasing number of these variations. Like buying a camera with more and more pixels for less and less money the cost and power of the chips to analyze our genetic data has continued to fall with more and more of those million plus variants coming into focus with each new generation of chip. How to manage and make statistical significance of all this information? 23andMe teamed up with google who provided money and use of their powerful computers to analyze the massive amounts of data. So what went wrong and why did the FDA (sometimes called the Foot Dragging Administration by its critics) step in? Click Here for part 2.